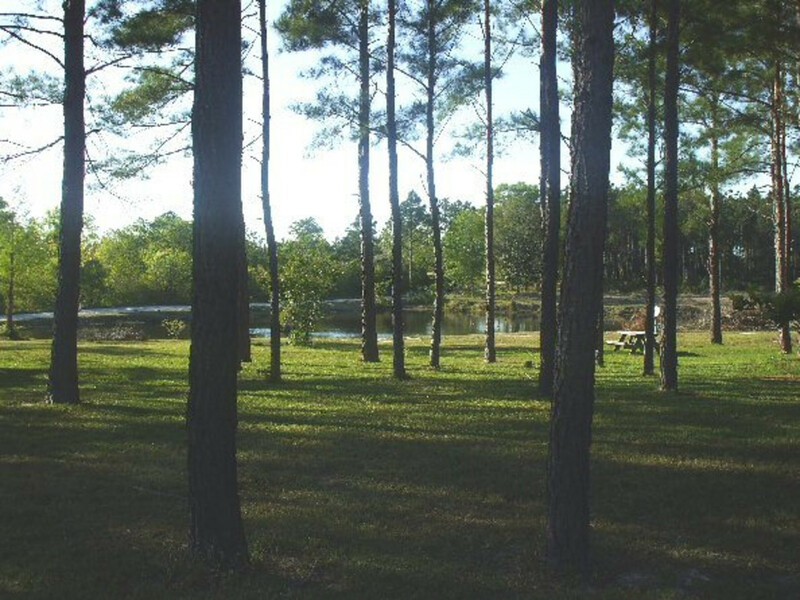 A two acre fishing lake provides hours of entertainment as well as a scenic view from your campsite at Elberta’s Jellystone Park. This is the place to hang up the technology for a day and breathe in the fresh country air of relaxation. Camping at Elberta’s Yogi Bear’s Jellystone Park is a family destination free of distractions in the rural countryside of Alabama’s Coastal area. Yogi Bear’s Jellystone Park in Elberta, Alabama, is a camping experience those with small families will appreciate. Located in a quiet country setting, the towering pines keep the campgrounds shaded and cool. This park is new to the Jellystone franchise but is making progress toward adding more amenities that most other Jellystone Parks accommodate. There are 85 sites to choose from with 27 being primitive. Full service hookups and WiFi are available as well as a laundry and bathhouse facilities. The serene rural setting of this campgrounds is a nice change from the busy pace of beach traffic. A short thirty minute drive can get you to several public beach spots and all the beach entertainment you are looking for. Wanting to get away from it all and spend some one-on-one time with your family? This is the place to do that. Pack some cards, board games, badminton, football or a soccer ball and enjoy the real outdoors without any distractions. Sites are spacious. A pool and splash pad are great way to cool off and entertain the kids. 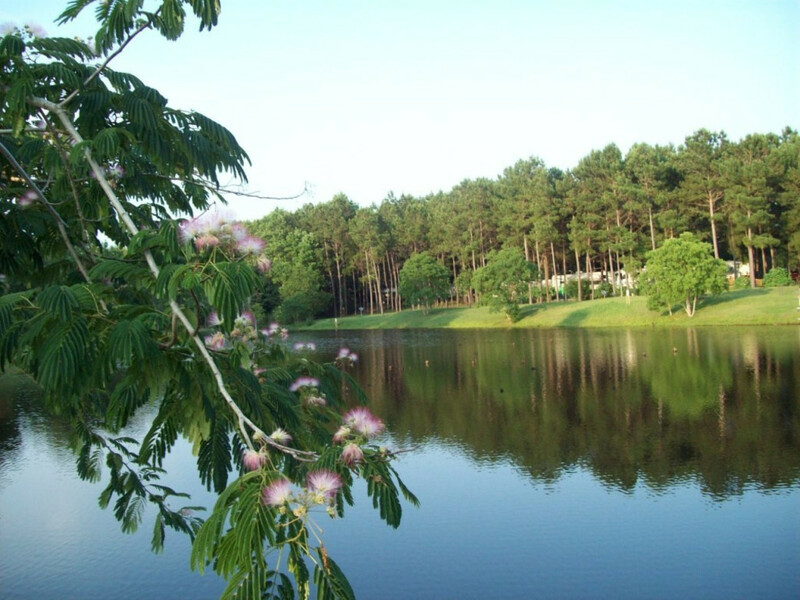 Fishing is available on the two acre lake. Planned events often include wagon rides, crafts for kids, karaoke parties, and Fourth of July fireworks. This campground is near the small town of Elberta which is limited on shopping and restaurants. Amenities aren’t as plentiful as other campgrounds within the area. If you are looking for a quiet night’s sleep where the crickets sing instead of road traffic buzzing, this is what you are looking for. The very clean, family oriented atmosphere is pleasantly invigorating. All the nightlife, restaurants, shopping, beach fronts, tourist destinations are within a short drive. After leaving the busy crowds, hang a hammock, watch the lightening bugs, make some s'mores and take it easy at Yogi Bear’s park. From I-10 heading East: Take Exit 49 (Gulf Beach Express) travel 12.9 miles. Turn left onto Foley Beach Express for 4 miles. At Hwy 98 and take left heading East for 7.1 miles. Turn right onto Wortel Rd at Yogi Bear’s Camp-Resort sign. Campground is at end of road. From I-10 heading West: Take FL Exit 7A, (Pensacola Interstate Fairgrounds exit.) Take left on Pine Forest Road/FL-297 S for 2.5 miles. Turn right onto N Blue Angel Pkwy/FL-173 S for 5.5 miles. Turn right onto FL- 298 W for 3.3 miles. Turn right onto US-98 W for 9.7 miles. Turn left at Wortel Rd, Yogi Bear’s Camp-Resort sign. Destination is on right. Grills are welcomed but fires are not permitted on primitive sites. Golf Carts are also welcomed for licensed drivers only. All guests are required to register at the Ranger Station prior to entering the park. Quiet hours begin at 10 pm and all visitors and guests must leave by then.